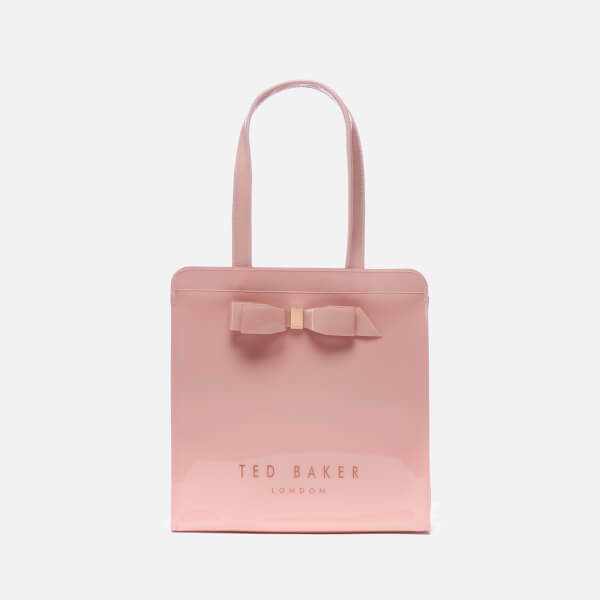 A smaller version of the brand's iconic shopper bag, the 'Arycon' showcases a structured silhouette and an ultra-glossy finish with signature bow embellishment to the front. Crafted from durable PVC, the open top bag features an unlined interior, patent carry handles and rose gold-toned printed text to the side. 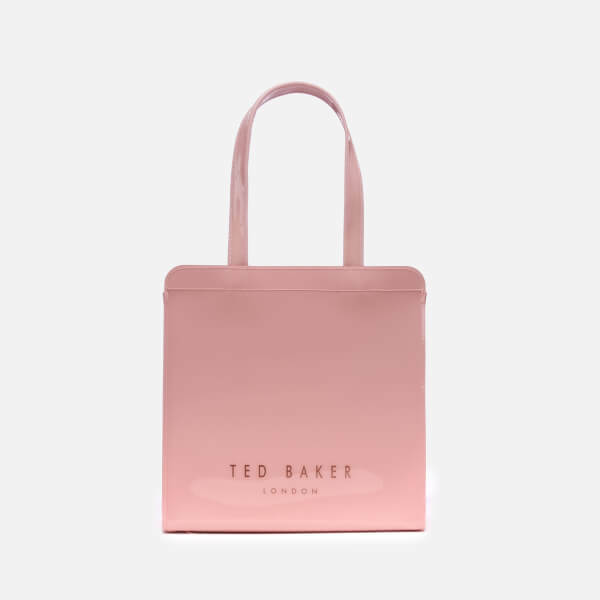 Ted Baker branding throughout.